Liberty has built in support for JAX-RS, so you can easily implement this without any additional dependency. It’s very easy and you will the service setup in no time. JAX-RS has gained the popularity over JAX-WS for many reasons, such as light weight, ability to invoke from Java Script, easy to setup etc. If you want to find out how to setup Liberty you can follow my previous post on How to Setup Liberty. 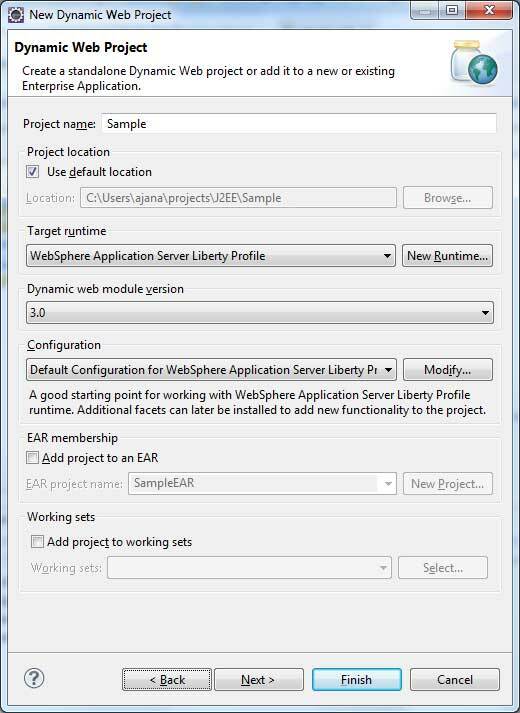 Here are the below steps on how to configure REST Service (JAX-RS) in IBM Liberty Profile. Expand the Server and open the Server Configuration. Select Feature Manager in the design view. 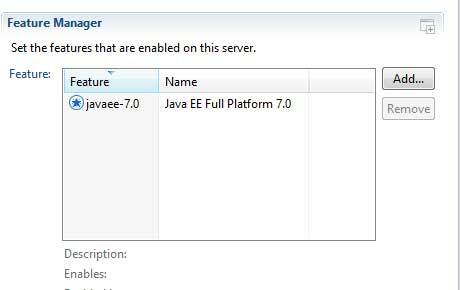 If you already have javaee-7.0 then you should be good. Otherwise click on Add. Select jaxrs-2.0 and click on OK. Save the server.xml by Ctrl+S. 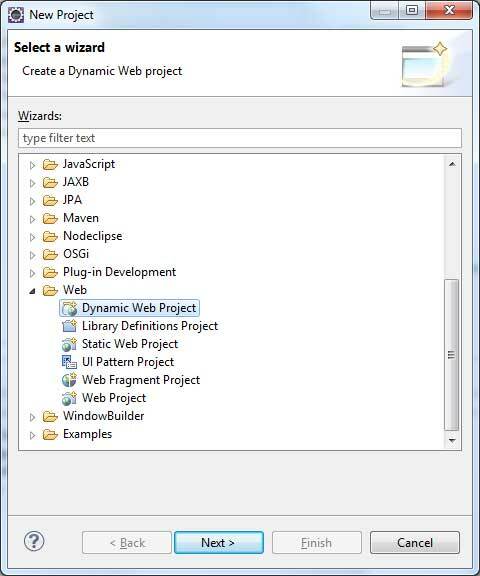 Add the Project Name and Click on Finish. Create a new class named SampleService. 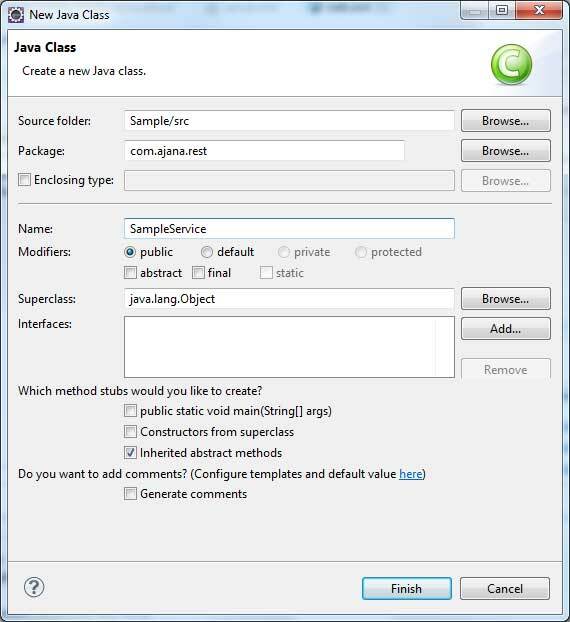 Here is a sample java service class. 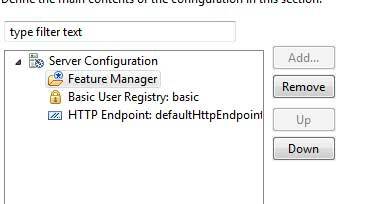 I have extended javax.ws.rs.core.Application in the service however you could create a separate class for this and have the @ApplicationPath defined there. I have put everything in same class just for the demo. Once the class is ready, add the project to the server and start the server. There are two services defined here, getString & getSampleData. Above should return the test as the response. The above URL should return the following JSON as response.